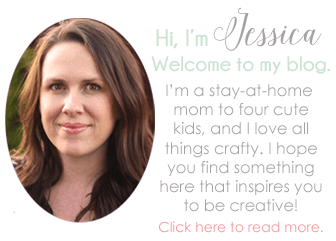 Have you been to the craft store and seen the giant pipe cleaners? I don’t know why, but I’ve always wanted an excuse to buy one (those and the giant googly eyes). I was shopping around for some Easter craft supplies the other day when I passed by the pipe cleaners again. Well, I finally found my reason! 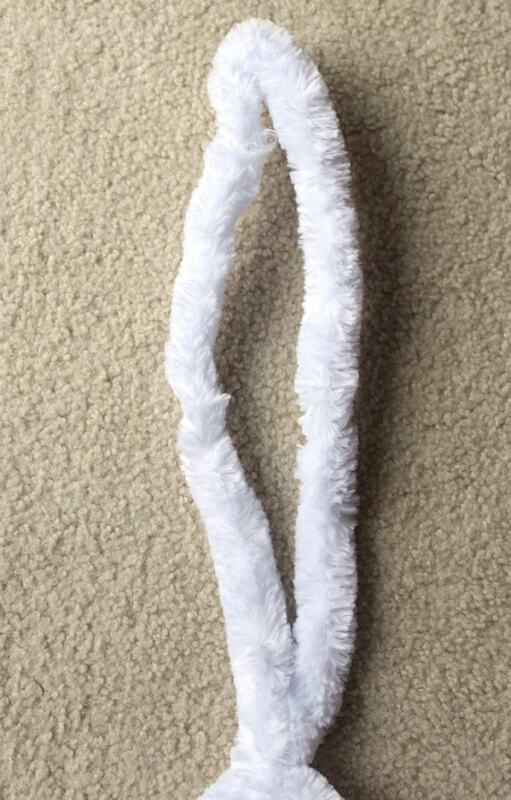 I took home a white pipe cleaner and turned it into this adorable, fuzzy bunny decoration! The pipe cleaner I got came in a continuous circle and was 6.5 feet long. 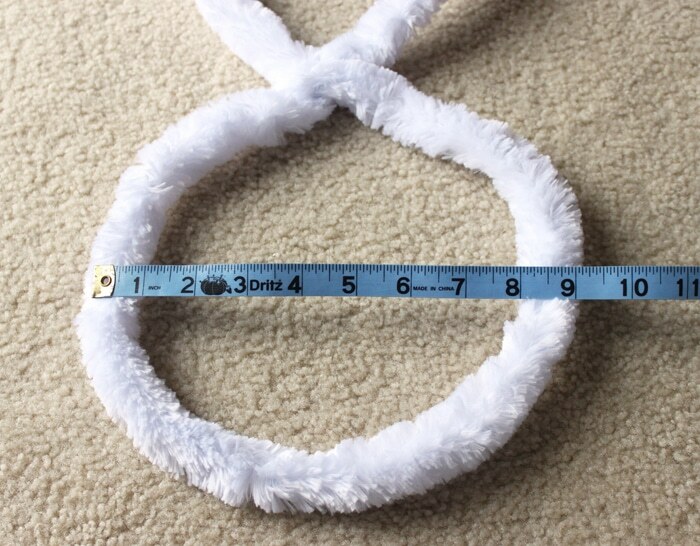 If you have a different length pipe cleaner, you can still do this, just make adjustments to my measurements. You could even combine two to make a bigger bunny if you want. First, form the bottom of the pipe cleaner into a 9 inch circle and twist to secure it. 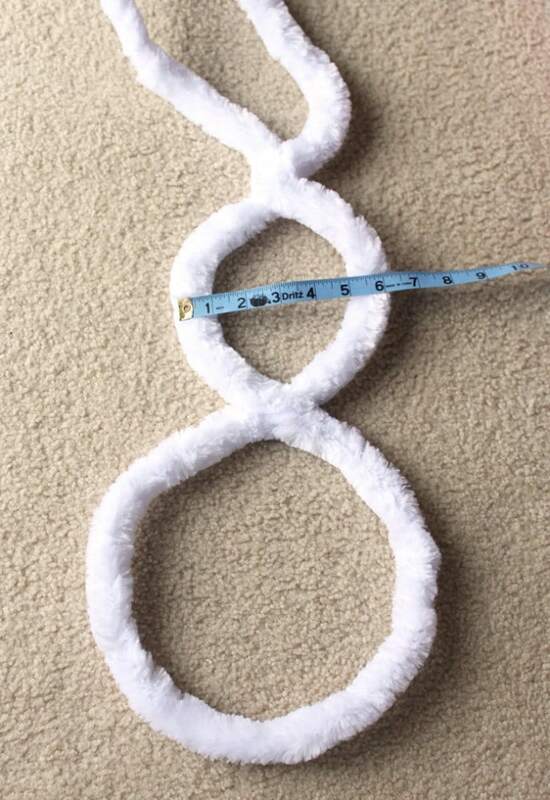 This will be the bunny’s body. 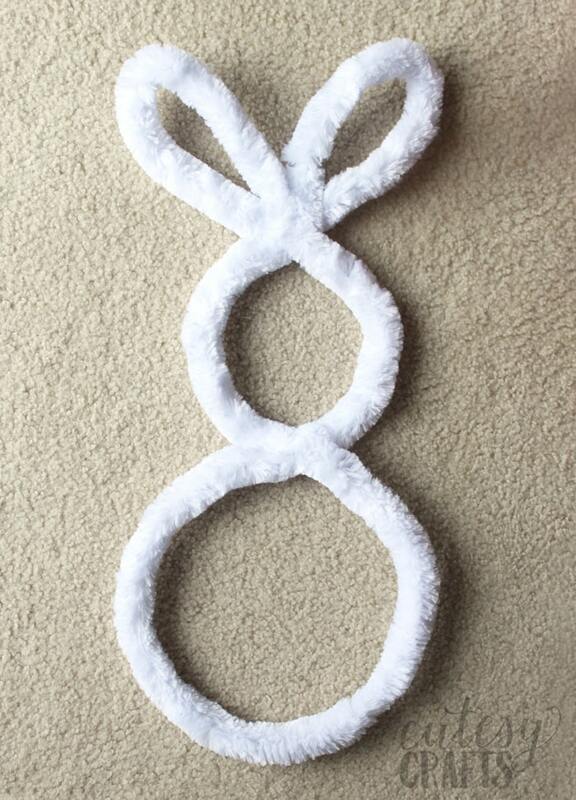 Above that, form a 6 1/2 inch circle and twist to form the head. 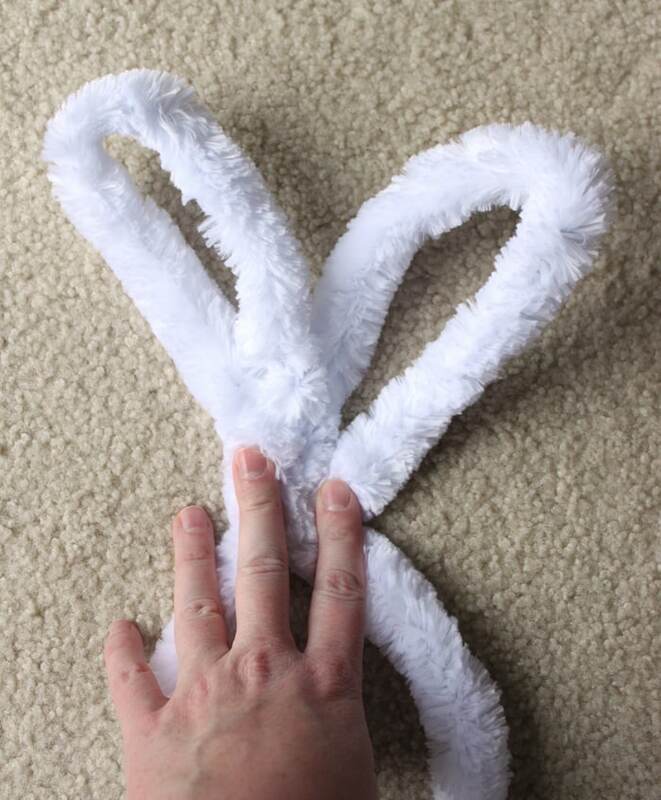 Straighten out the remaining part of the pipe cleaner and fold in the middle, at the top. Bring the top of the pipe cleaner down to the top of the head to form the ears. Twist each of the ears, individually, at the base, and you’ve got your bunny. So easy! 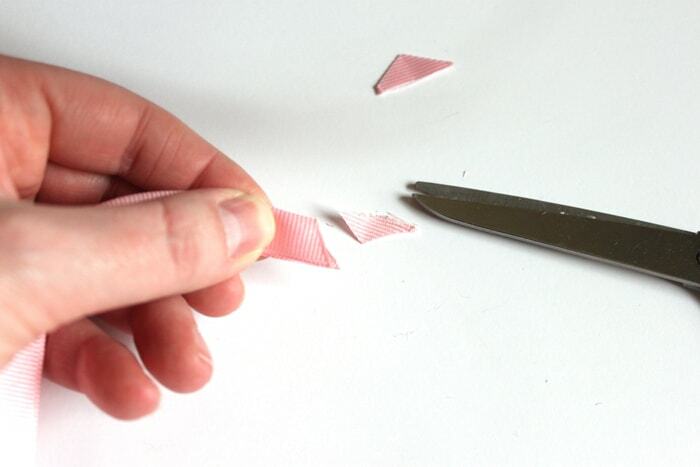 Cut a 50 inch piece of ribbon, fold the ends, and cut at an angle like the photo below to make them like a dovetail. Melt the ends with a lighter if you want to keep them from fraying. 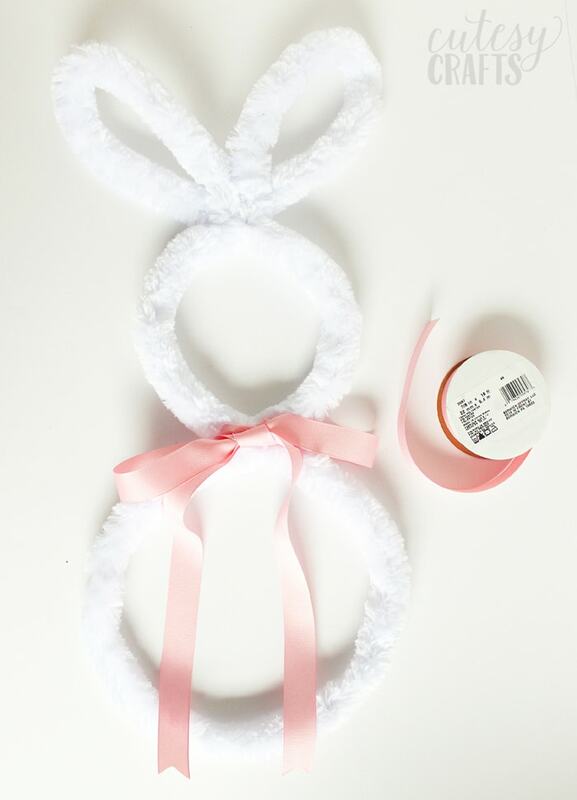 Tie the ribbon around the bunny’s neck to add some color. 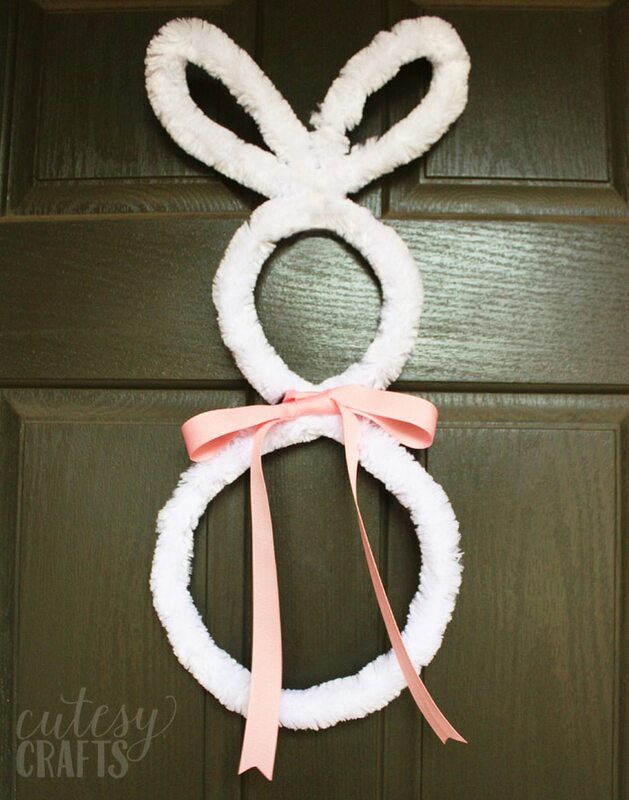 Use a wreath hanger or hook to hang the bunny by the top of his head. You can put him on the wall or hang him on the front door like I did. 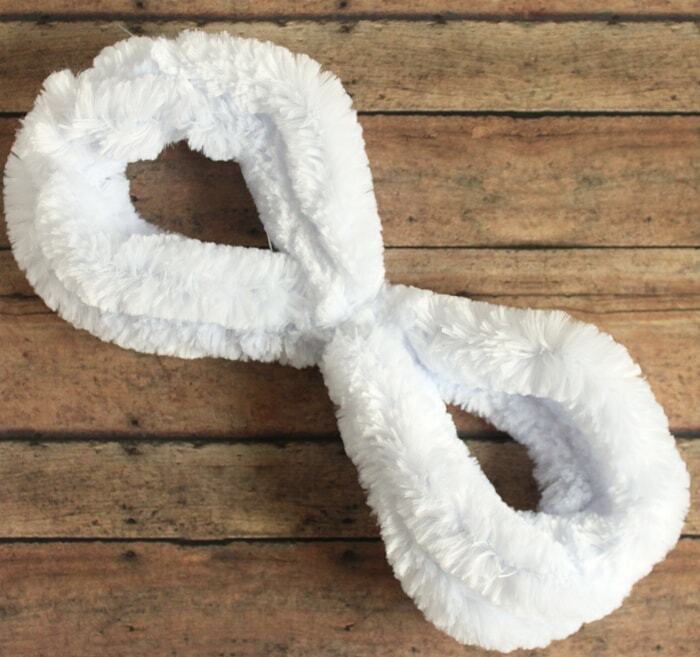 It’s sort of like a fuzzy bunny wreath! Where do I find a giant pipecleaner?